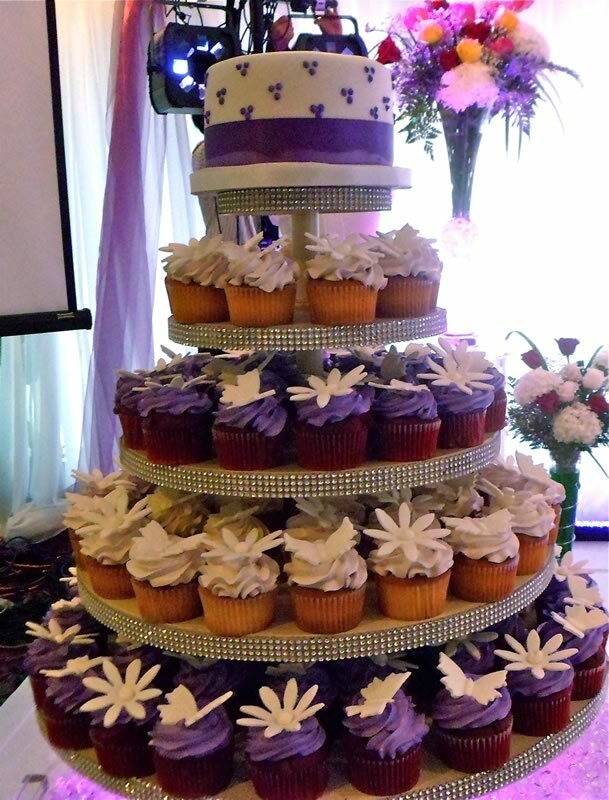 Just Temptations uses only the finest and freshest ingredients to make divine and beautiful Cupcakes in the Greater Toronto Area. 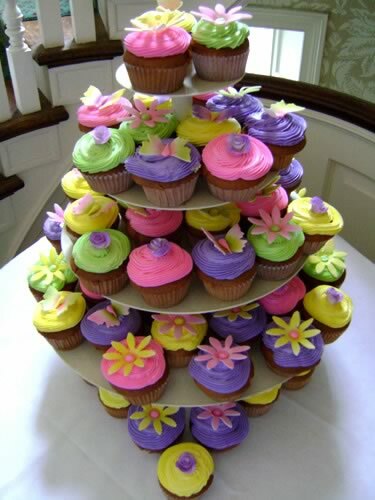 Our wide assortment of scrumptious flavours is sure to tempt any taste buds. 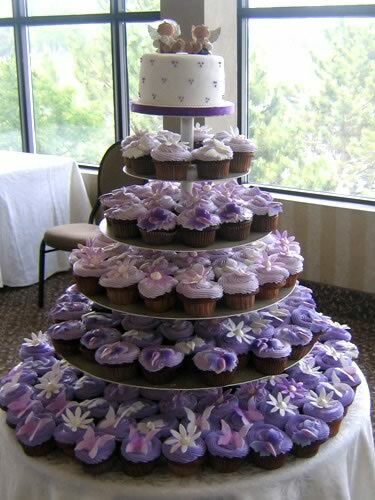 Many couples in Toronto are choosing to go with a Cupcake Tower instead of a traditional Wedding Cake to serve to their guests as dessert. 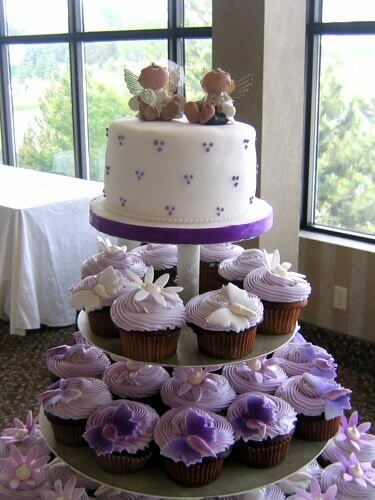 We offer Cupcakes in any combination of style, colour and flavour that will be perfect for your Toronto and Greater Toronto Area (GTA) wedding. 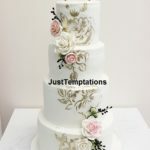 Our team includes a Master Pastry Chef with over 20 years of Wedding Cake and Cupcake designing experience and several Professional Pastry and Cake Decorators with educational backgrounds from Humber College in Toronto and George Brown College in Toronto. 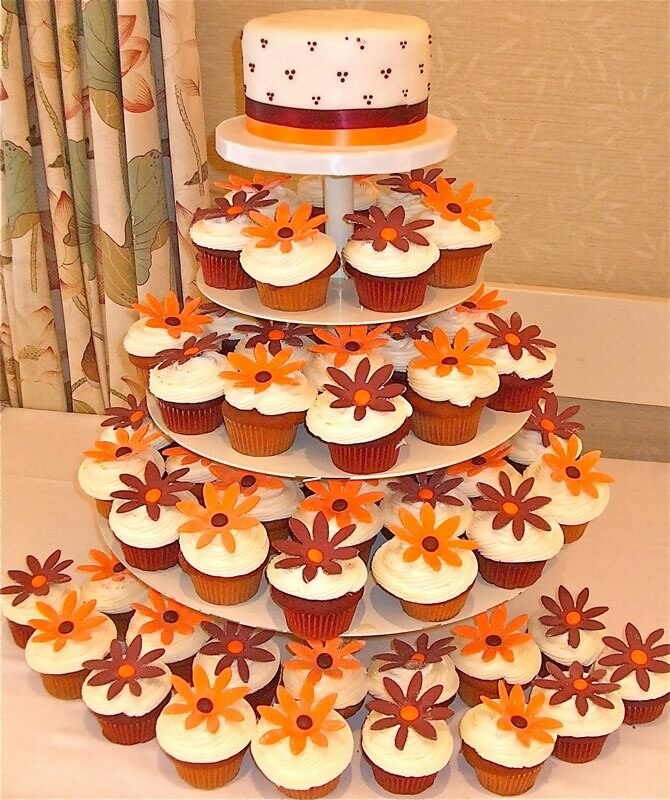 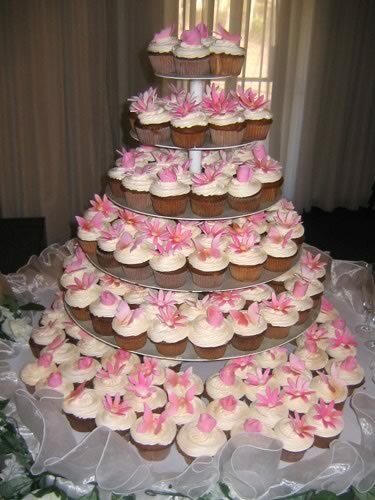 A Cupcake Tower can be decorated with hand-made sugar, fondant or gum-paste flowers including roses, calla lilies, tiger lilies, stargazer lilies, daisies, gerber daisies, hydrangeas, cherry blossoms, phalaenopsis orchids and cymbidium orchids. 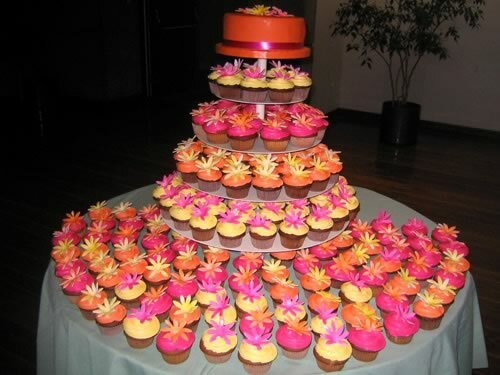 Your Wedding Cupcakes can also be decorated with any colour icing. 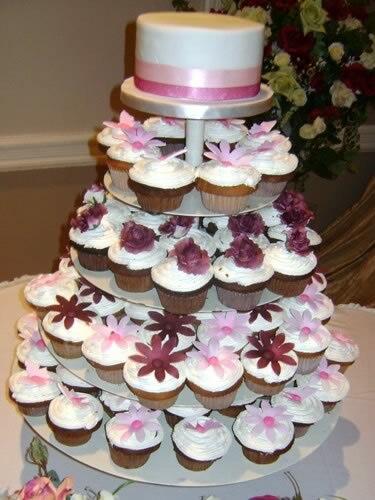 We can decorate your Cupcake Wedding Cake with Fresh Flowers or Charms (provided by the client). 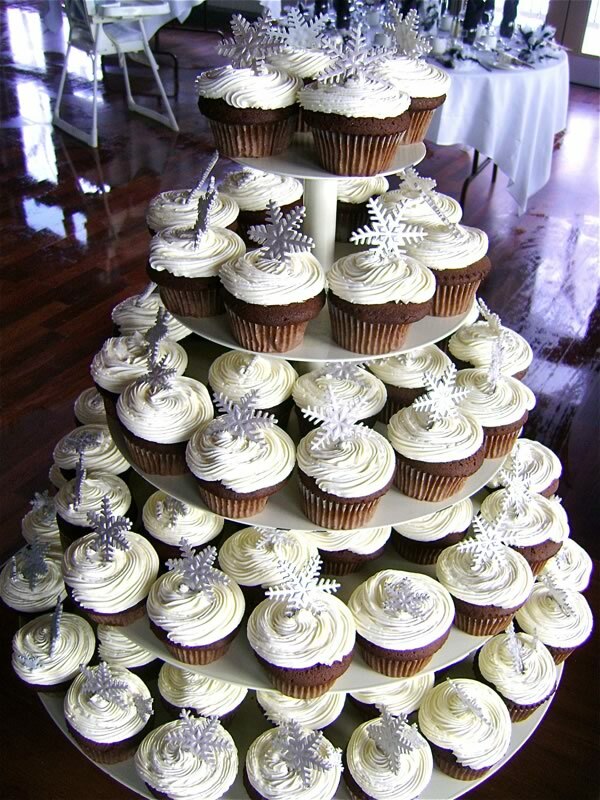 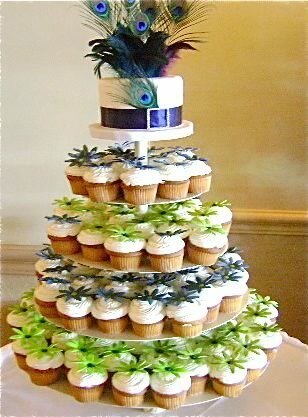 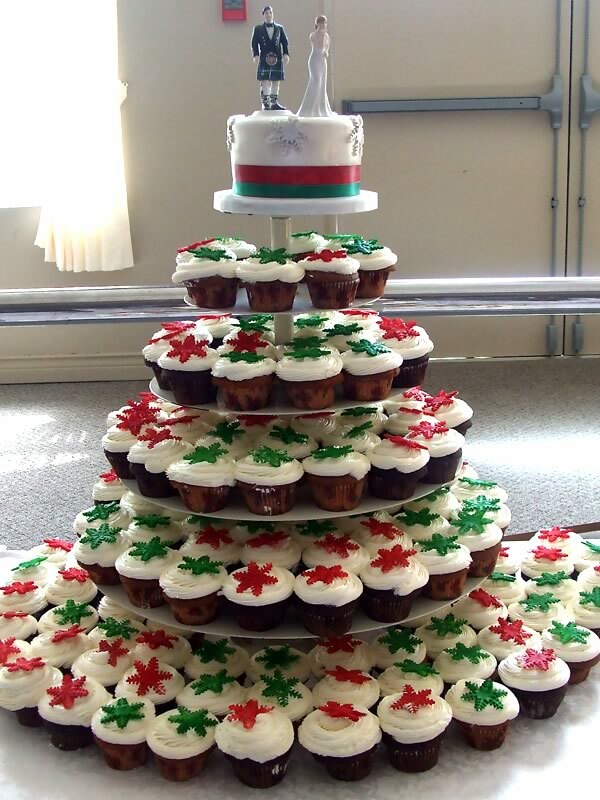 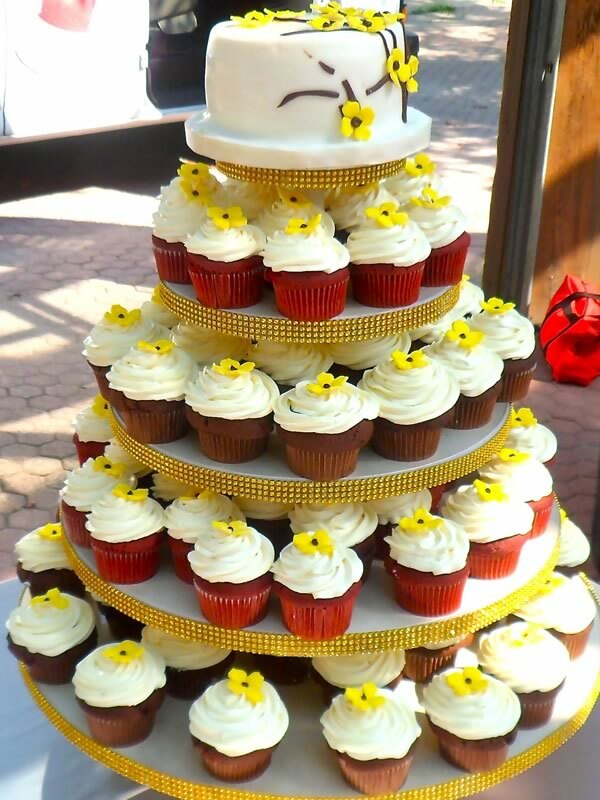 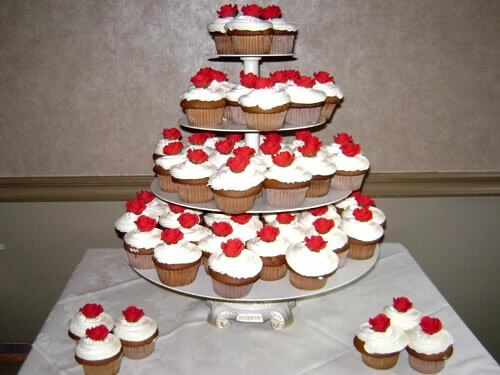 To add a traditional flare to your Cupcake Wedding Cake you can also have a small cake on top of your Cupcake Tower. 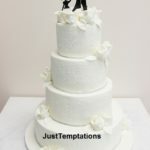 This will allow for the opportunity to cut your cake for pictures and anniversary purposes. 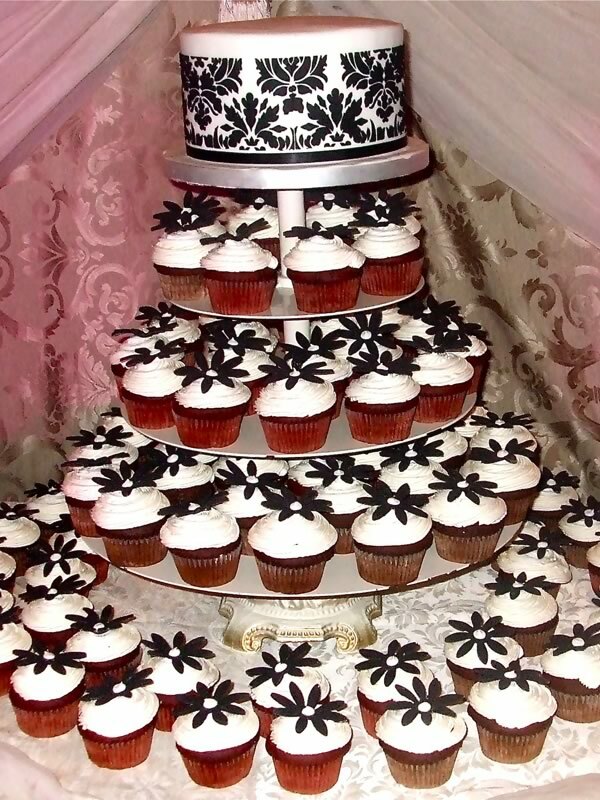 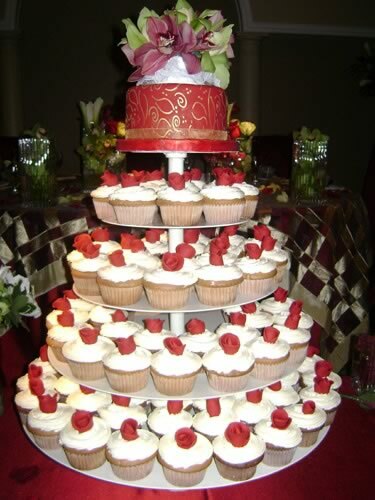 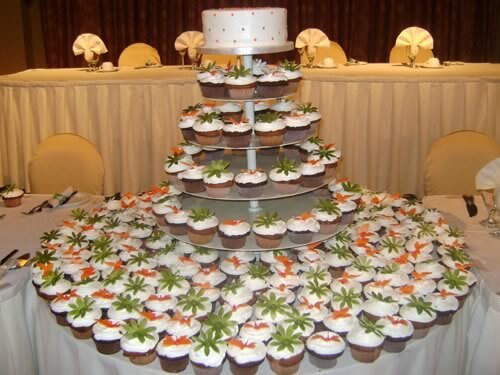 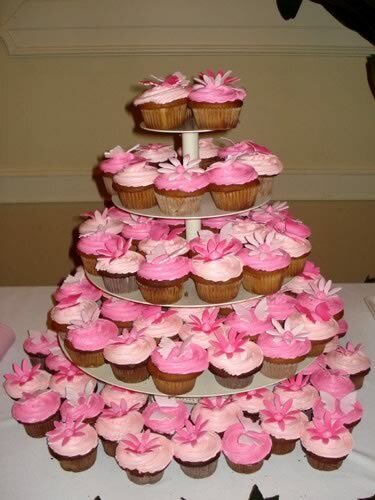 Your Cupcake Wedding Cakes will look grand and majestic on a Cupcake stand from Just Temptations. 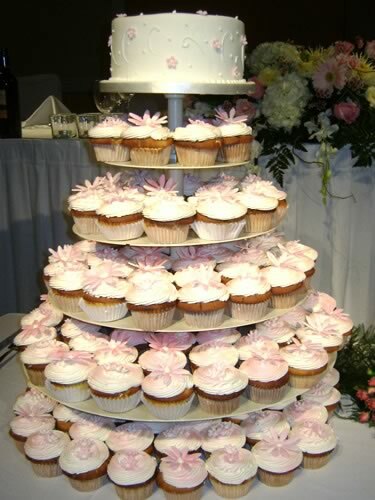 We offer Cupcake stands in two sizes: Small (60-80) and Large (100-125) in order to ensure that your display is beautiful. 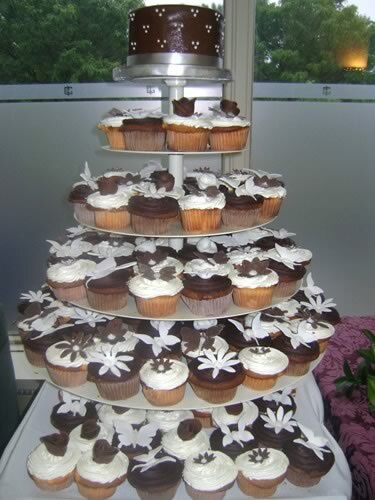 All of our Cupcake Wedding Cake flavours made for Toronto Brides and Grooms are fresh and made from scratch. 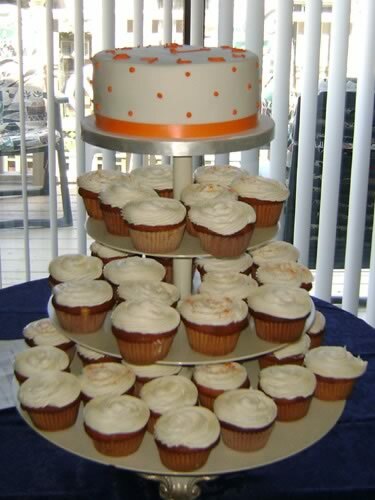 We use only the best ingredients including pure butter, Lindt chocolate, Philadelphia cream cheese and fresh eggs. 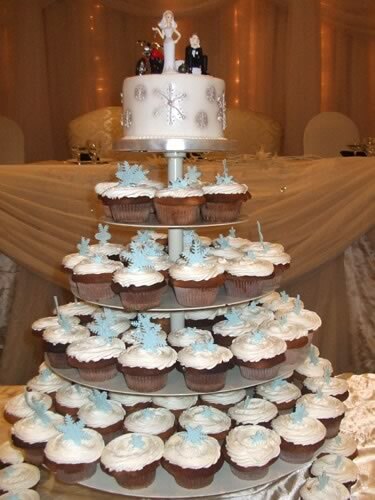 Our showroom is located just minutes from Toronto. 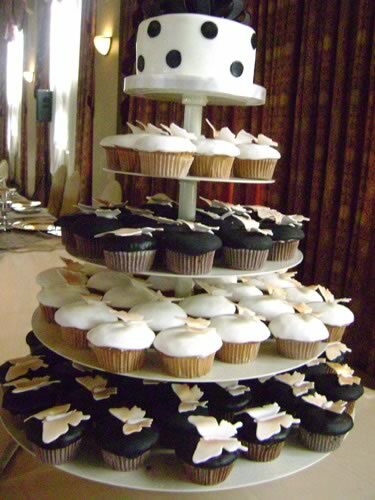 Our catalogues include over 80 Cupcake Wedding Cakes, featuring some of Torontoâ€™s best Cupcake designs. 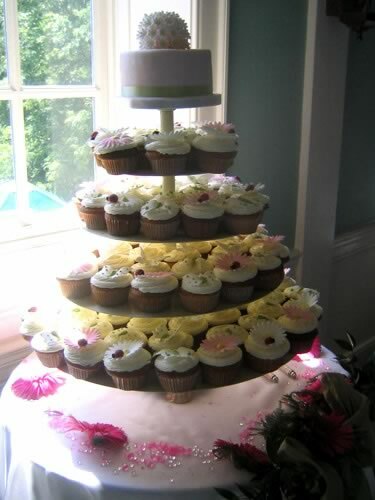 We also have over 100 Wedding Cakes on display and catalogues with pictures of dessert tables. 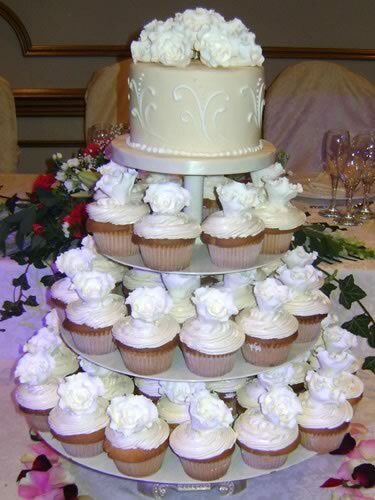 We also offer completely customized Cupcake Wedding Cakes. 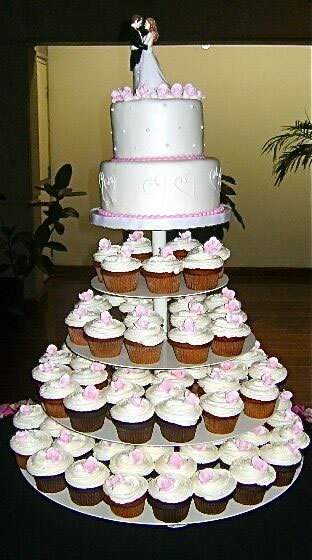 If you have a picture of a Cupcake Tower or an idea of a Cupcake Wedding Cake in your head, we can create it for you. 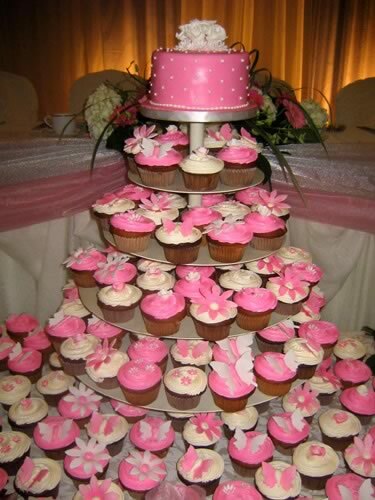 You can book a complimentary appointment (30 minutes) online or call us at 905-565-0058. 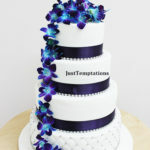 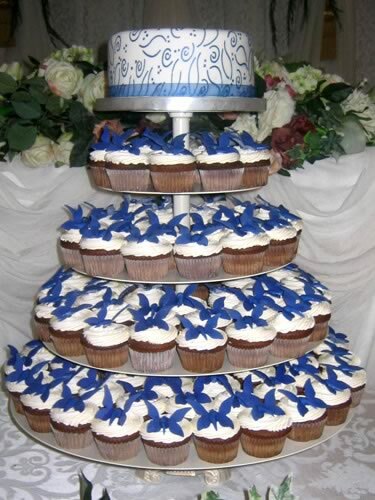 Located just minutes from Toronto, Just Temptations services and delivers Cupcake Wedding Cakes to all areas of the GTA including Mississauga, Brampton, Scarborough, North York, Etobicoke, Woodbridge, Vaughan, Maple, Concord, Markham, Richmond Hill, Thornhill, Hamilton, Ancaster, St. Catherine’s, Stoney Creek, Brantford, Grimsby, Burlington, Oakville, Caledon, Orangeville, Kleinburg, Ajax, Whitby, Oshawa, Pickering, Stouffville, Port Perry, Guelph, Halton Hills (Milton), Campbellville, New Market, Uxbridge, Kitchener, Waterloo, Cambridge, Bond Head, Aurora, King City, Kettleby, Alliston, Barrie, Niagara-On-The-Lake and Niagara Falls. 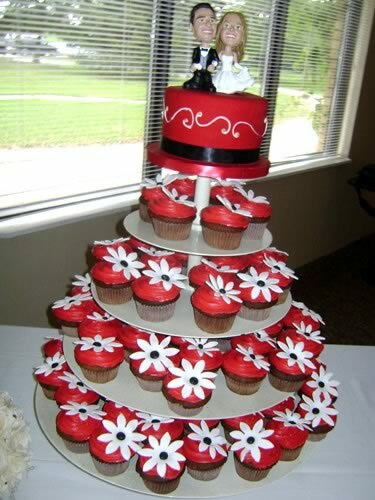 The charge for delivery will depend on the location of your Wedding; some locations are no additional charge. 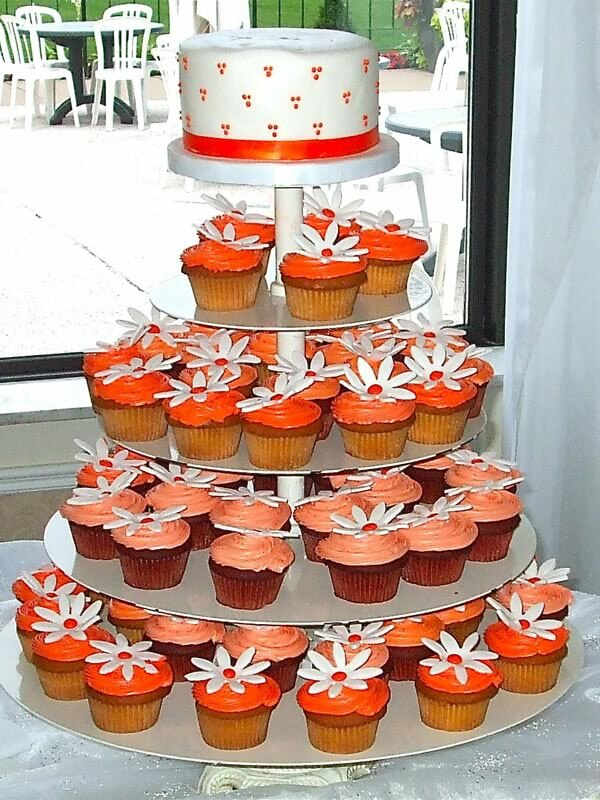 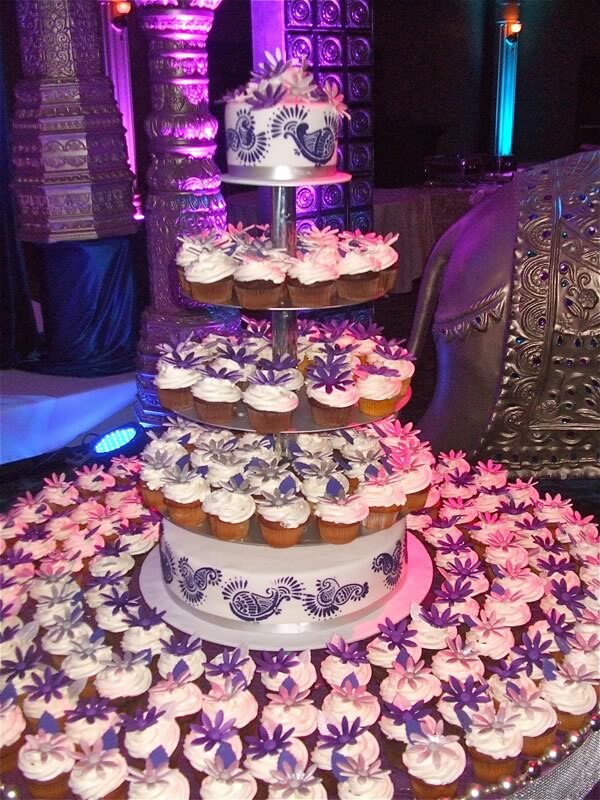 We will deliver your Cupcakes to your reception location and have your display set-up before your guests arrive.